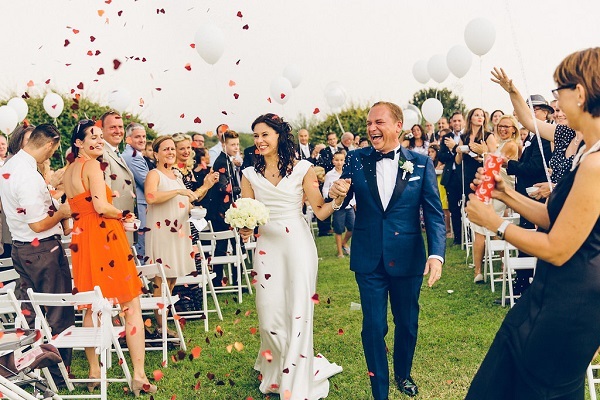 A blessing in Italy might be the perfect option for couples that already had a civil ceremony or a religious wedding in their home country and wish to have a wedding ceremony in Italy. If you have both different religious beliefs or you simply would like a religious aspect to your wedding day we can suggest you a blessing or a symbolic religious wedding. Often the couples who choose to have a symbolic religious wedding or marriage blessing in Italy had a civil ceremony in their home countries before. A blessing might also be the right choice for couples that have already been married in one religious tradition. These couples might now choose to have a blessing in the other religious tradition. In the Roman-Catholic religion a blessing will be performed in a catholic church in Italy. A blessing in Italy usually involves a reading, a hymn or a song and a prayer. You could include traditional wedding music, or something that has special meaning for the two of you — there’s lots of scope for making the ceremony your own.